An advanced fire suppression system developed to deliver cost-effective protection for larger enclosures requiring longer agent flow distances. 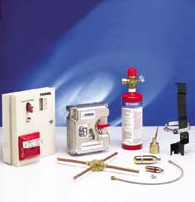 Provide active fire protection when coupled with Kidde's various 24 hr detection and control systems. Increased flow performance allows for remote location of cylinders. Increased performance deems it a virtual “Drop-in” replacement for installed Halon 1301 systems. 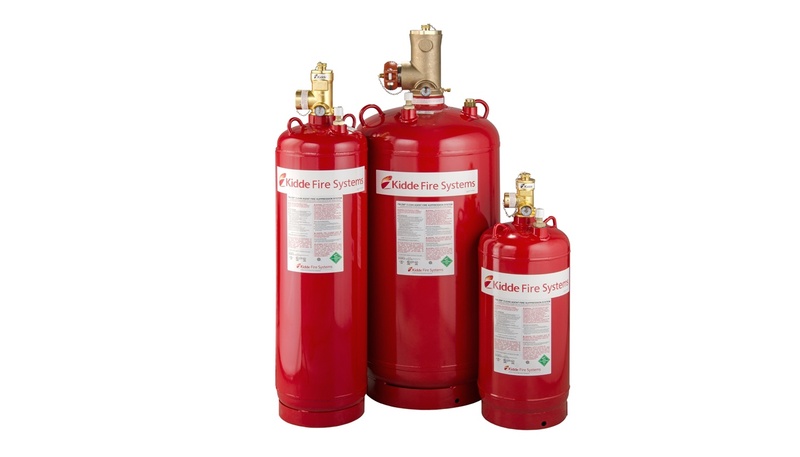 A proven, effective and reliable fire suppression option, excellent for small, medium and large applications. Faster reacting than water-based systems (seconds as opposed to minutes). >No water, so there is little to no damage to the equipment or the facility. Flexible design capabilities for small or large floor plans. The Kidde In-Cabinet system is specifically designed and engineered to provide total flooding, clean agent fire protection for small enclosures and high-valued equipment. When coupled with Kidde's detection and control options (which can be purchased as a kit), the In-Cabinet system can quickly detect and suppress a fire before any detrimental damage can occur. The In-Cabinet system uses the world's must trusted clean agent—FM-200®—and is well suited for protecting applications such as IT closets, UPS switchgear cabinets, data storage cabinets and archive storage enclosures.